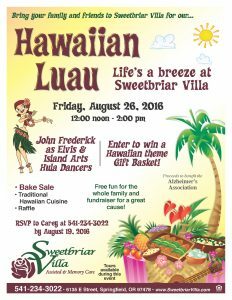 Life’s a breeze at Sweetbriar Villa! 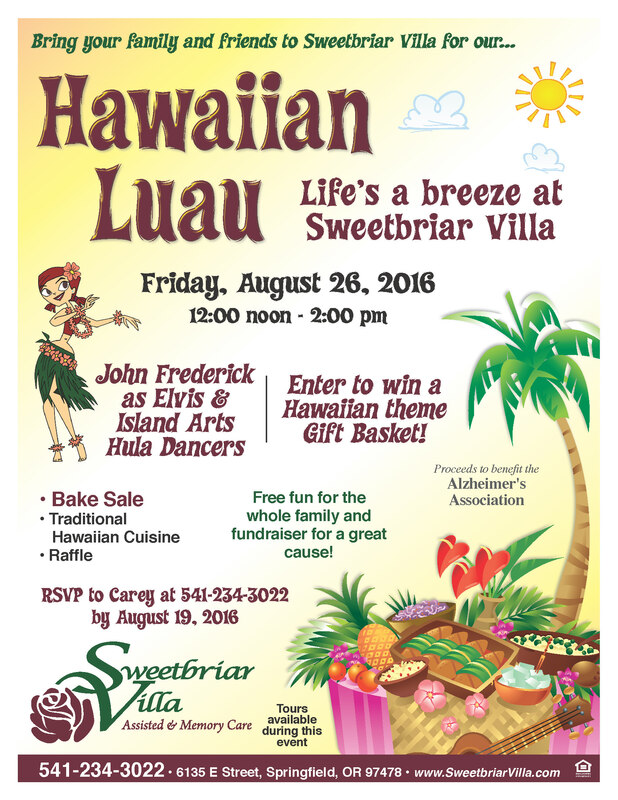 Bring your family and friends to Sweetbriar Villa for our Hawaiian Luau on Friday, August 26th from noon to 2PM. Enjoy John Frederick as Elvis and Island Arts Hula Dancers while dining on traditional Hawaiian cuisine! Raffle to benefit the Alzheimer’s Association. Free fun for the whole family! RSVP to Carey at 541-234-3022 or on Facebook!